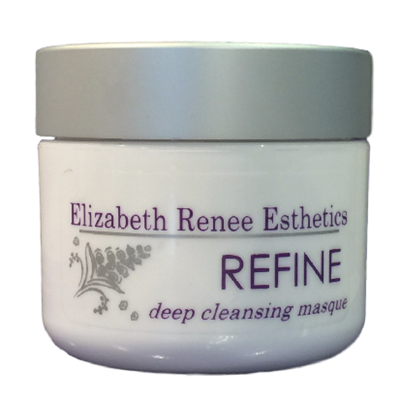 Get your pores deep down clean and radiantly fresh with this purifying clay masque by Elizabeth Renee Esthetics. Natural Hamamelis and peppermint extracts soothe skin while this masque softens embedded oil to decongest and minimize the pores. A curative blend of purifying clays sweep away impurities, clarifying the skin. Botanicals serve to restore skin’s critical moisture balance. Your skin will feel super clean, fresh and beautiful. Bentonite Clay - Draws out impurities and stagnate oil while gently exfoliating the skin. Horsetail Extract - contains the building block proteins to help rebuild and regenerate damaged skin cells. Chlorophyll - contains antioxidant properties, which help reduce the damages caused by the oxidation of skin cells.